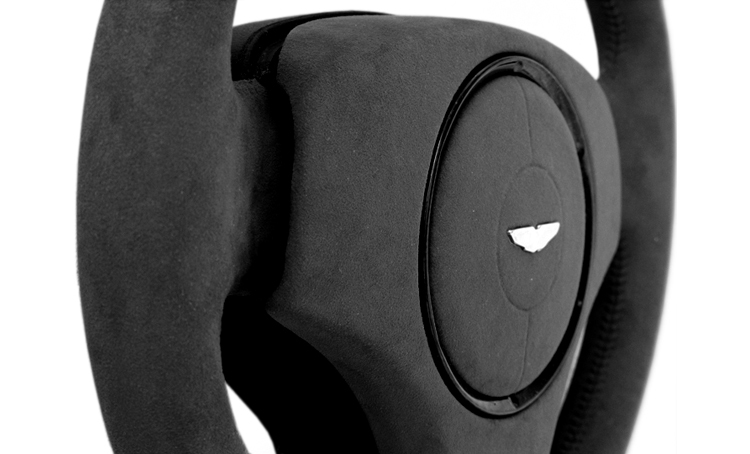 Whether in Alcantara or Alcantara/carbon fiber, the custom steering wheel is a must for all Aston Martin enthusiasts, and plays on the racing heritage that the Aston Martin brand has accustomed us. The steering wheel hoop has been trimmed in premium alcantara for a more tactile feel. Contrasting coarse stitching is also available in any color on request. FINISH: Choice of Alcantara colors.